Former WWE tag team champion and the son of a current WWE star was arrested last week. Brian Lawler otherwise known as Brian Christopher was arrested for public intoxication one night after a bar fight with an MMA fighter. Christopher was sentenced today and barely escaped jail time. Puppies! Mickey Rourke portrayed a troubled ex-pro wrestling superstar in The Wrestler. A lot of former WWE stars were compared to Randy the Ram following the movie. Brian Christopher surprisingly was not on that list. Recent troubles are only the icing on the cake for a wrestler who truly epitomized Randy the Ram. 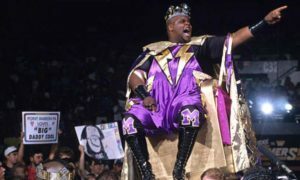 Brian Lawler is the son of Jerry “the King” Lawler. Lawler had a big run in the WWE a decaed ago as Grandmaster Sexay, Brian Christopher. Lawler and Scotty 2 Hotty known as Too Cool would go on to win the WWE tag team titles. The team is likely most known for doing goofy dances with Rikishi following their bouts. 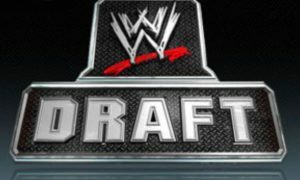 Lawler would later be released by the WWE. Lawler was a lot of trouble behind-the-scenes. I have talked to wrestlers over the years who absolutely hated him in the WWE. Lawler miraculously would get a second opportunity in 2004. Lawler lasted three matches before he was released for good. Jerry Lawler ruled pro wrestling in Tennessee for decades. Lawler was to be the heir apparent to his father in Memphis. It was years before Brian was acknowledged as a Lawler, hence the ring name Lawler. Lawler was a good talent and a hell of a promo. Unfortunately he never reached his potential due to his own demons. His story is very similar to Ric Flair’s son Reid. Reid has a tremendous amateur wrestling acumen. Reid was a natural for pro wrestling and thought of as a superstar in the making. Yet, several arrests including one which included heroin will likely prevent Reid from ever seeing a WWE ring. It takes a lot to get blacklisted in the WWE if you are named Lawler or Flair. Unlike Reid, Lawler actually had his shot and blew it. Lawler has been bouncing around the Tennessee independent wrestling circuit for years. Trouble continued to follow him. It was reported last week that Lawler got into a bar right with an MMA fighter. The pictures of Lawler’s arrest the next day tell you how that worked out for Grandmaster Sexay. The following night Lawler was arrested for public intoxication. Lawler reportedly became very belligerent once in custody. Lawler was arrested earlier this year for disorderly conduct. Sadly, it seems like Lawler will never learn from his own lessons. Brian Lawler was sentenced earlier today. Lawler plead guilty. He will spend 30 days at a rehabilitation facility and ordered to pay a $50 fine according to ABC affiliate WBBJ. He will serve his rehabilitation stint at Pathways. Pre-order the WWE Bash 2009 on DVD by clicking here. Headlocks and Eye Gouges – I will be back on Pro Wrestling Radio Wednesday July 1 at 7 PM/EST. Former World Class Championsip Wrestling producer Mickey Grant joins the show this week. Listen live and ask your questions from the chat room by clicking here. Listen to last week’s 45-minute uncensored interview with Rob Van Dam on http://www.prowrestlingradio.com now!